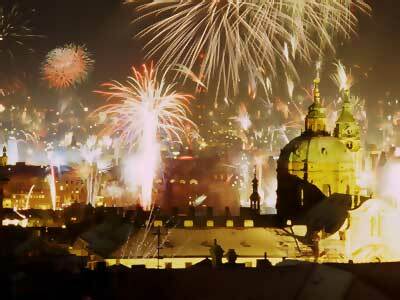 Generally, winter is not considered prime tourist season in Prague, but Christmas and New Year's Eve are an exception. Considered to be one of the most beautiful cities in the world, Prague offers an inexpensive alternative to some of the more pricey European Cities. At midnight you want to be either at the Old Town Square, Charles Bridge, or the Stalin Statue. Watch out for flying fireworks. Weather – Very cold this time of year so dress warm.